In a bipartisan letter sponsored by Utah Attorney General Sean Reyes and Vermont Attorney General T.J. Donovan, and signed by the attorneys general of 34 other States, the National Association of Attorneys General today urged Congress to pass the Clarify Lawful Overseas Use of Data (CLOUD) Act. The CLOUD Act would update and amend several provisions of the Stored Communications Act (SCA). Under the SCA, a law enforcement agency may obtain a warrant to search an individual’s email or another online account if a reviewing court finds probable cause that the account contains evidence of a crime. Once issued, an SCA warrant is served on a service provider who must then collect the requested data and provide it to law enforcement. State and local law enforcement agencies routinely use SCA warrants to investigate all manner of local crime, from drug trafficking to murder and child sexual exploitation. The letter was joined by the attorneys general of Vermont, Utah, Alabama, Alaska, Colorado, Delaware, Florida, Hawaii, Idaho, Indiana, Iowa, Kentucky, Louisiana, Maine, Maryland, Massachusetts, Michigan, Minnesota, Mississippi, Nebraska, Nevada, New Jersey, New Mexico, New York, North Carolina, North Dakota, Oklahoma, Oregon, Pennsylvania, Rhode Island, South Carolina, South Dakota, Virginia, Washington, Wisconsin, and Wyoming. 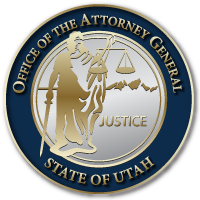 Find a PDF copy of the letter at https://attorneygeneral.utah.gov/wp-content/uploads/2018/02/Final-2.21-CLOUD-Act-Letter.pdf. AG Sean Reyes wrote an op-ed for The Hill about privacy in a digital era. Read it here: http://thehill.com/opinion/technology/364220-we-must-reconcile-privacy-and-safety-in-the-digital-era.